The combination of the Confetti embossing folder and square punches (or Framelits) makes for an easy, but really cute, graduation card. Although the Confetti embossing folder was originally introduced with the intent of creating birthday greetings, it depicts confetti, streamers and stars, so why not use if for any occasion worth celebrating?? And, of course, a graduation falls neatly into that category. 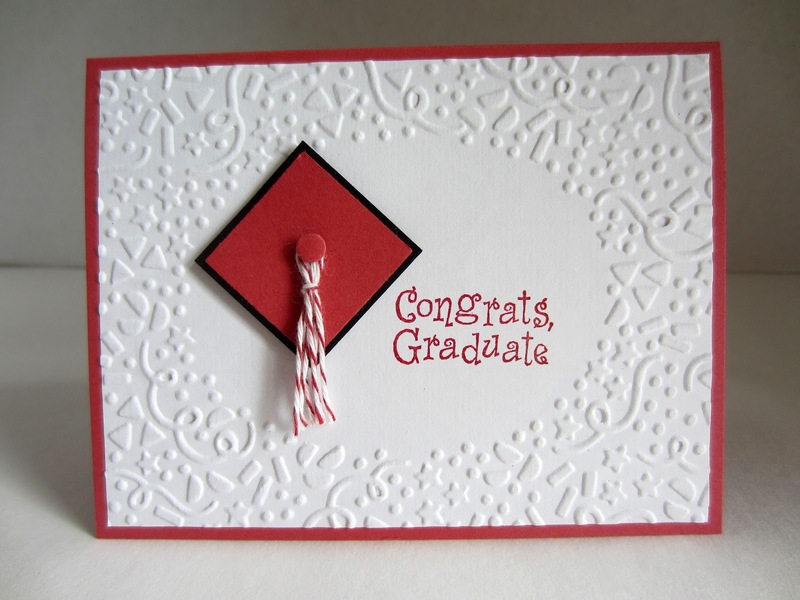 Simply switch it up to match the school colors of the graduate, and you have an easy and quick winner! 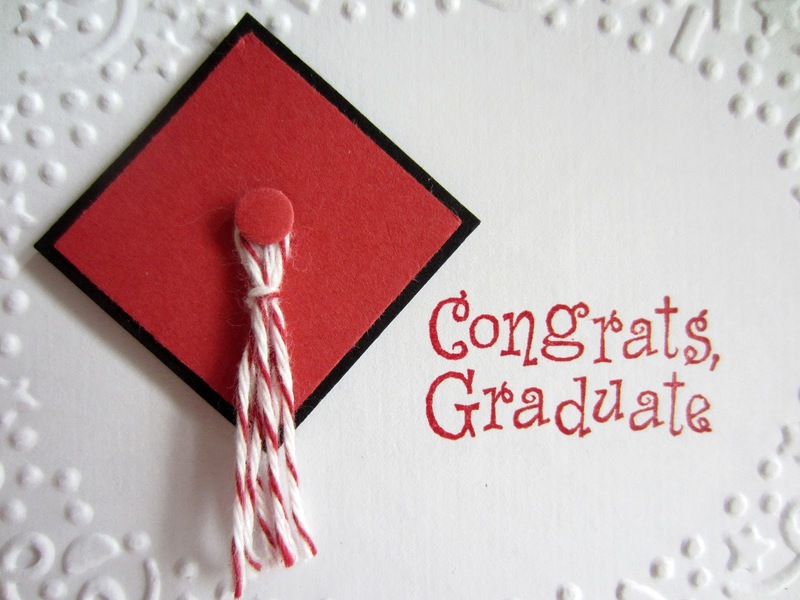 I "outlined" the square for the mortar board with a thin line of black (another layer of cardstock). I did use a brad to which I fastened the red-and-white baker's twine. However, I did not like the way the brad looked. So I punched a 1/4" piece of the same red cardstock and topped the brad with the paper circle with a glue dot. This gives it a much better, more finished look. The sentiment is an old Stampin' Up! stamp that I will hang on to forever and ever. It's perfect, isn't it? Congratulations to all you graduates out there! I love your designs! Thanks for sharing on the Pleasures of the NW's DIY party! You consistently create beautiful cards and this one is no exception! What a special talent you have. How lovely! What a marvelous card. :) Thank you for sharing your creativity at #FridayFrivolity!